I still need to edit the video but here’s the audio-only version on SoundCloud. I’ll probably delete this post once the video is up. I’m not deleting the post but I’m warning you that the SoundCloud link will not be absolutely permanent. Someone asked me who are the other vocalists on this recording. It’s all me, folks. 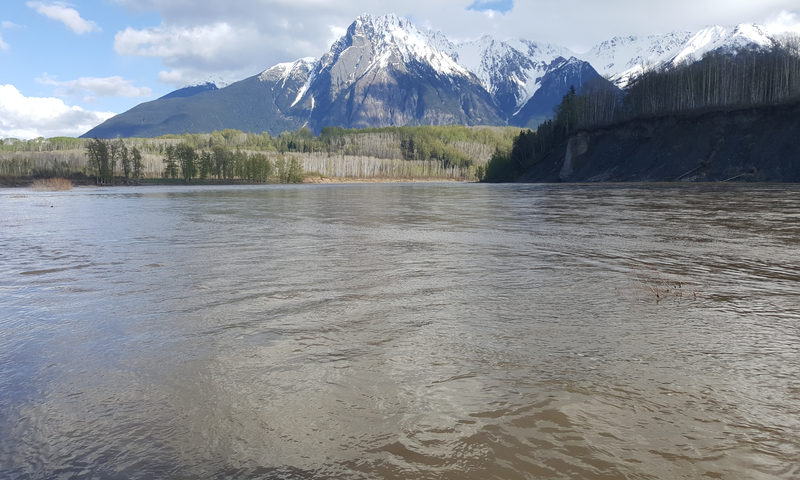 On the northwest bank of the Bulkley River, maybe a kilometre upstream from ‘Ksan.